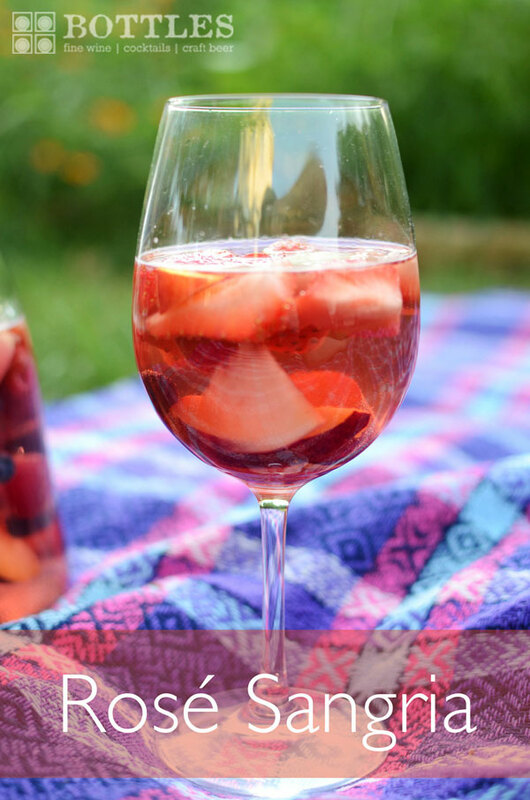 Enjoy this refreshing Rosé Sangria recipe at home or with friends, created by Joanna, the Bottles cocktail expert. This sangria drink idea is easy to make and great for the summertime! 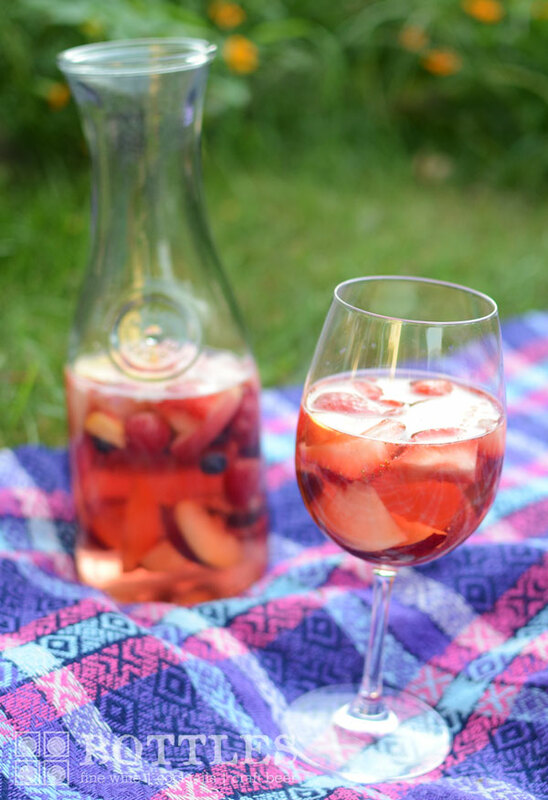 Watch this video tutorial for instructions on making this crisp and light sangria that uses Frog’s Leap Rosé, Mathilde Pear Liqueur, Q Ginger Ale and local, seasonal fruits and berries. Pour the rosé wine and pear liqueur into a pitcher. Add fruit. Let sit for two hours or more, and when serving, add a splash of ginger ale. Enjoy! The longer you let this sit, the more the fruit will absorb the flavors. Also, try to use fruits that are in season. For the freshest fruit, visit your local farmer’s market. Frog’s Leap is a winery located in California that makes this wine is dry and light with aromas of watermelon and summer flowers. Mathilde Pear Liqueur is a great cocktail ingredient made from 100% hand picked fruits. Instead of using regular ginger ale, try out Q Ginger Ale. This tasty ginger ale is made of all natural ingredients like rose oil, orange peel and of course, real ginger. If you are letting the fruit soak more than a few hours, add the Q ginger ale just before serving, to add a little fizz to your sangria. 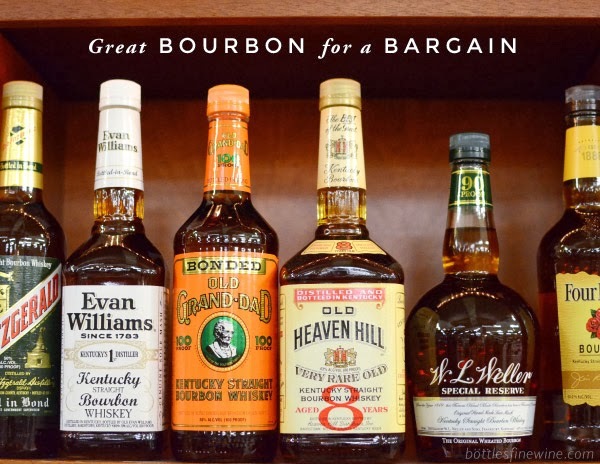 Visit our store for the ingredients you need! 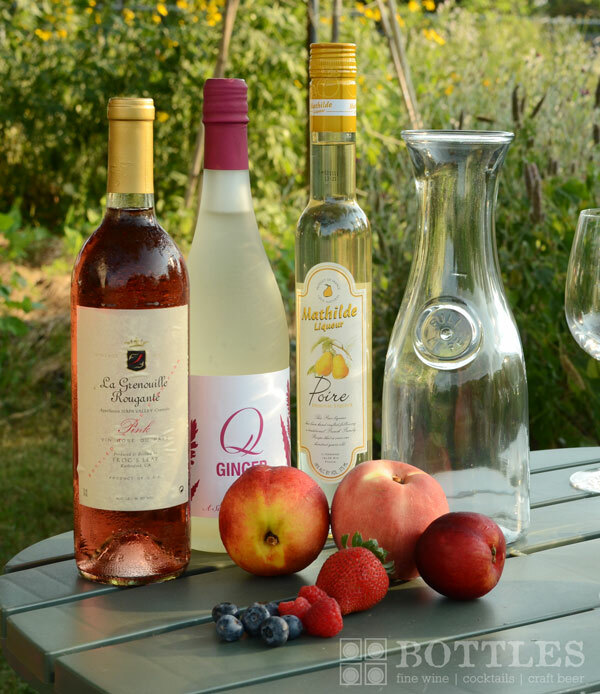 This entry was posted in Cocktails and tagged cocktail, fruit, recipe, rose wine, sangria, summer on September 20, 2012 by bottlesfinewine.